Say hello to Spike! The world’s first Conversational email app. Be more productive. More creative. Less distracted by things that don’t matter and better connected to the people that do. 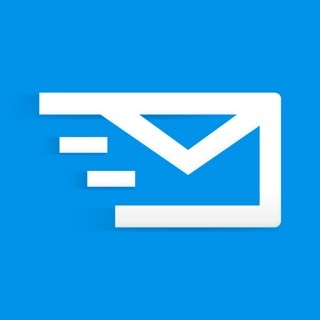 Get the best of email and instant messaging in a single app. We’ve ditched the confusing email threads, dumped messy headers and signatures, and redesigned your inbox. Spike (formerly Hop) email messenger brings together the best of both worlds—the real-time awareness of messenger and the advanced functionality of email. Spike offers you a more natural way to communicate, helping you build relationships with customers, clients, and colleagues without the distractions of traditional mail. Spike is much more than a simple email client. It’s built to bring teams together, to foster creativity, to get right to the point and level-up the way you collaborate within your business and external clients. • Who turned out the lights? • Are you afraid of the dark?? • Night is dark. Screen is dark. Eyes don’t hurt. --> DARK MODE is here! No terrors. Only easing eye-strain in low-light conditions and extending battery life. Nothing bleak about that! And as usual, we made some changes under the hood, but that pales in comparison (wink wink) to Dark Mode! I love everything about this app. It will replace my regular email one day, but for now I use it WITH my email. The reason is because there is no option to be able to delete in bigger quantities. Currently you can delete a message and it will give you an option to delete that senders previous emails en masse, but there is no option to choose many different senders to delete at once. This app changed the way I deal with and interact with email!!!!! I am a college student and have a few part time jobs which communicate primarily over email... Since most of my projects involve multiple managers I am constantly bombarded by strings of inter-relating emails when they back reference content that has since been lost in my inbox of hell. I also (I guess as a millennial?) dislike using emails as a primary form of communication due to the lack of visibility most of them have. Hop changed all of that!! Not only giving me the ability to follow the string of a conversation as if it was a text message, but also giving me a window into when my content is actually received by providing read receipts! On top of that it filters out all the junk I receive on a daily basis that while I would still like to occasionally read, don’t need in the same area as my work communication. You fixed what wasn't broken and I'm sad. Honestly why'd you guys fix something that wasn't broken? This was my goto personal email app specifically because it showed emails like they were text conversations. Unless im missing something it seems like you guys tried to pack 10 pounds of features into a 5 pound bag. You split the text UI of the email off into actual texting with "groups"
WHY are all of you email apps trying to get business people and ITDM's to consider your email app as a solution for a business. I'd be stunned if you were to tell me even a 1/3 of the people using this were using the group chat besides for texting themselves random notes to self... Because I use(d) this for my personal email. I liked the way it interacted. Having a whole new part of your app devoted to "groups" and chats with funny stickers and gifs.. Isn't something I'll use. If anything that just reminds me that I hardly have a social group because I work 60 hour weeks and during that time I will, like it or not, forever be on Outlook. Stop trying to cram enterprise group coordinating with Slack-like funtionality and a calendar all in such a simple app. When did we suddenly decide every personal email app also needed Slack and Basecamp and Skype crammed in? Ugh I hate falling for apps like this. Too young / insecure to know what you're doing right so you do it all wrong instead. Thanks for taking the time to share your feedback with us. The Conversational email format that you love has never changed. Groups can be created when and if you want to use them, as a way to better communicate and stay organized with teams, projects, or any other group you wish. We've shared your feedback with the team.